A lot of people especially wanna be bloggers are turned between Wordpress and Blogspot. Which one is best, or which one is advisable to use for them. I’ve been there and I want to share with everyone why I chose Blogspot over wordpress. But before that, let me give you the features of each websites for their free blogs offer. NOTE: Please take note I’m referring to the WORDPRESS FREE BLOG and not the WORDPRESS Platform that you could install on your host. It’s totally different. 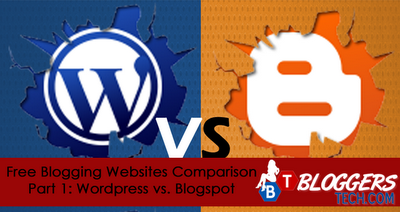 Now that we’ve compared the features and limitations for each free blogging websites, let’s then weigh up everything. - I usually don’t care about this, unless it’s too tricky to set up. All I want to make sure is that I get to have a quality blog and that it could give me my needs. - Another feature that I don’t care since I am for international traffic, I’ll be speaking/blogging in English. There are times (on my other blog) that I get to speak/blog in Tagalog or the Visayan Dialect, but I always give the English translation of the word or sentences. - I think only few Blogspot users know about this feature, and yes Blogspot can have multiple bloggers in one blog. - I’m not sure how many static pages could have to Wordpress, but Blogspot only allows 20 static pages. Before, it's only 10 static pages and I'm so happy that it went up to 20. - Not all people love to redesign and design their own blog. And the problem with me is that, it seems I want to change the look of my blog every now and then, and with the limitation of Wordpress themes and access to design, I prefer Blogspot. - Both websites allow you to have your own free domain but of course your domain has the extension of their website domain. Which is MYBLOGNAME.WORDPRESS.COM and MYBLOGNAME.BLOGSPOT.COM but no worries, you can have your own custom domain for both websites just like here in Bloggers Tech. - One of the problems I have with Blogspot BEFORE is that I get spam comments and there are only few spam comments that are detected. With Wordpress, it even track down the IP and can easily it tell that it is a spam comment. - As a SEO, I know the importance of permalink. What is a permalink? Come on! You don’t know? (LOL) Anyway, permalink is the specific URL that points to a specific blog. If you notice, Blogspot adds the “/p” on the link that is to identify that it is a page. The link above is the link to the post I’ve posted few days ago. And if you notice on the permalink structure, it has the year and month it was published. For pages in Wordpress, it has no additional characters, and that is the same with the posts but it’s optional to have that permalink structure on posts and pages on pages. While on Blogspot, there’s nothing else you could do or modify with the permalink. Also, with Wordpress you could customize the permalink. Wordpress will automatically create a permalink for your post but you can modify it with your own. Unlike Wordpress, though in the sample above, I prefer it to be just “bloggerstech.com/what-is-search-engine-optimization.html”, Blogspot automatically created one for me and I can’t modify it anymore. Permalink structure is very much important, since it will help your visitors identify the post compared to “bloggerstech.com/post-may-5-2012.html” right? Also, it will help with SEO and making it rank on search engines. - As mentioned above, Wordpress does not allow you to have banners, Ads, Google AdSense, or even paid posts! So how could make money with your blog? If you want to earn with blogging and have your blog in Wordpress, better have it hosted or pay the premium service of Wordpress. As for Blogspot, it was bought by Google on 2003 and some says, their main target is to have people use Blogspot and register on Google AdSense, what does that mean? That means, more places, websites and blogs to advertise and put up some Google AdSense and more advertisers will join to get advertise on websites and of course on Blogspot users blogs. Google invest on Blogspot for a greater and larger income, very wise! But, as a blogger you too can take benefit. Guest posts and paid posts are allowed but I suggest you should be picky on posts that are not yours. 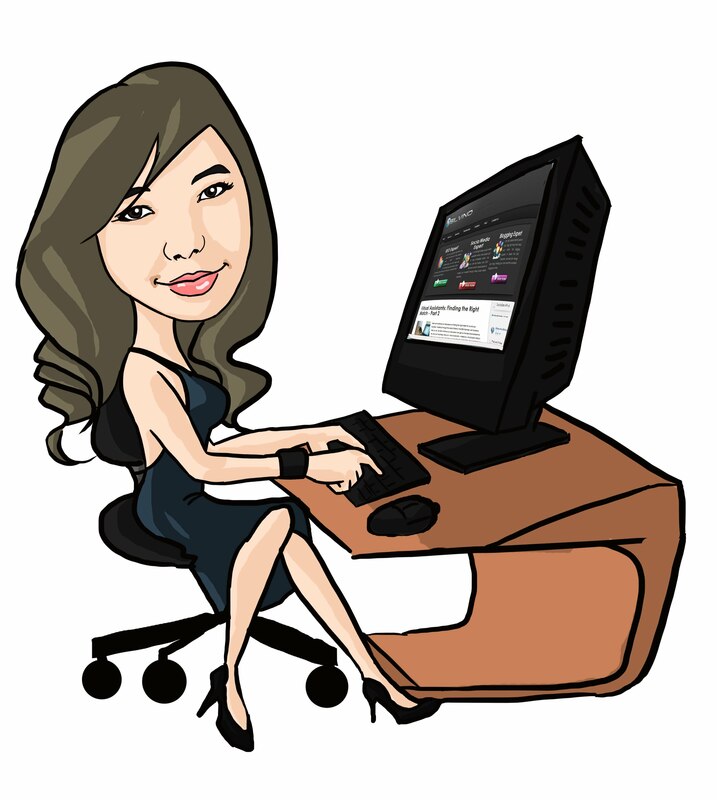 Before I forget, there's also a new way to make and earn money from Blogspot blogs. That is the GOOGLE AFFILIATE NETWORK (GAN), which is also I'm already part with. I've just started and trying out some stuff and so far, so bad. LOL. Didn't earn anything yet since it's CPA (Cost Per Action) which is totally different with Google AdSense. It means, there must be someone that buy the product from you. No matter how many times they clicked on it, you won't earn a single cent. There must be a successful transaction, before you earn something. - There are only few people know that your account on GMAIL, YOUTUBE, or any Google websites can be used as one. As for me, my Gmail account is the same account I use for YouTube, Google Analytics and here on Blogspot. Just a click of a button, I am easily logged in and registered and have an instant accounts on Google websites like Blogspot and YouTube. Want to know why I chose Blogspot over Wordpress? Then come back here on Bloggers Tech to know why.